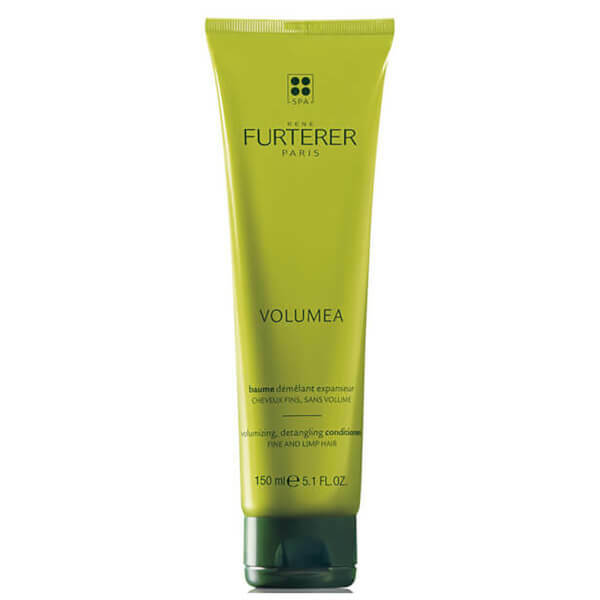 Revitalise fine, limp and lifeless hair with the René Furterer Volumea Volumizing Conditioner; an innovative formula that thoroughly nourishes locks, whilst increasing volume from root to tip. The conditioner envelops tresses in a veil of essential moisture, which energises lifeless hair and ensures a healthy looking finish. Formulated using Inulin, a natural conditioner extracted from Chicory Root, the rich treatment provides weightless conditioning that leaves hair nourished, lifted and ultra-manageable. An essential dose of natural Carob Extract transforms limp hair by delivering long-lasting, enviable volume. Complete with an uplifting fragrance of Lemon, Thyme and Rose, the conditioner leaves hair voluminous and delicately fragranced. After shampooing, remove excess water and apply in sections. Comb through, then rinse immediately. Water (Aqua), Caprylic/Capric Triglyceride, Hydroxyethylcellulose, Inulin, Lauryl Glucoside, Polyglyceryl-2 Dipolyhydroxystearate, Cetrimonium Chloride, Citric Acid, Fragrance (Parfum), Glycerin, Hydrolyzed Ceratonia Siliqua Gum Extract, Methylisothiazolinone, Polyquaternium-37, Sodium Chloride.